LOVATA is a top-performing software and web development company that has been distinguished by the Clutch.co research firm as Top Software and Web Developer, as well as leaders in numerous other categories, including PHP and Laravel development. Several years ago, while searching for a new platform to counter technical difficulties with MODX, they have decided to make the transition to October CMS. We asked the team to tell us about what has been hampering their development processes before the transition and explain why October CMS has become the optimal solution. The company has been delivering high-quality, efficient, reliable web solutions for over 10 years, and, of course, they have their fair share of positive and negative experience working with various platforms and technologies, frameworks, libraries, including many content management systems. In the past, LOVATA’s team had been working with various CMS, including WordPress, e107, Joomla, and some others. However, the one that really caught the team’s attention at the time was MODX. It was a technically advanced platform for building content-based projects. It worked well for corporate websites and portals and was a good fit for eCommerce projects as well. The team had been working with MODX for 7 years and gained quite a strong development expertise; however, as time went on, the platform technically started to fall behind and eventually became gravely outdated. This forced the company to look for a better solution. 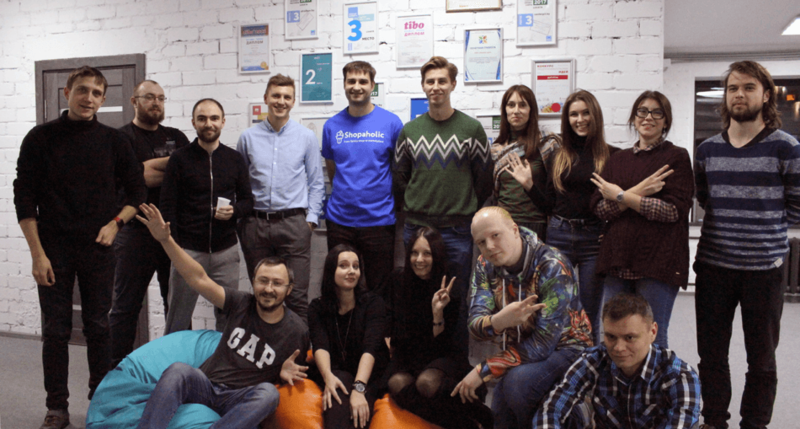 The team’s CTO, Pavel Lautsevich, made a comprehensive research of the market, and, after weighing all of its advantages, the team has made an evaluated decision to turn to October CMS. As LOVATA’s team speak of October, the greatest thing about the platform is its modular architecture, the lightweight and flexible core which provides only minimal functionality without being over-bloated with features. There is a high cost to a platform that makes no assumptions, this means the developer can build the CMS however they envision it. This, combined with great documentation of the CMS core, gives it a definite edge over any other platform. Being a relatively new platform, October doesn’t have as strong of a community as other prominent CMS like WordPress; however, you can still find answers in support to some of the critical, commonly known issues and problems. It also has themed topics, like for beginner or intermediate level developers, plugin and theme development topics, etc. The support section has screencasts, e.g., the “watch and learn” video series. All this caught the eye of LOVATA’s development team. October CMS provides a useful API on top of Laravel and raises the Developer Experience (DX) to new heights. The team also loves how October allows using the best modern development tools and practices: ORM and DB migrations, package management (with a wide Laravel ecosystem) and easy integration with third-party software (Redis, Beanstalk etc.). LOVATA’s Deployment and QA automation benefited largely from using the platform. The fact that October uses the latest stable PHP and Laravel versions allows the team’s developers to implement modern techniques and architecture patterns, such as loading dependencies using Composer. The MVC architecture and the flexible Twig template engine gives the front-enders the possibility to work on templates and layout without dealing with actual business logic. The team no longer has to work with static layouts and then merge the front and back-end of the solution; it is now a cooperative and unified process as all developers work on the same codebase. October CMS is almost entirely file-based. The platform’s well-structured file system, modular architecture and smart API allows LOVATA’s team to write their own business logic without interfering with neither CMS nor plugins’ core. It’s also great for versioning and deployment. In LOVATA’s words - “October’s Artisan CLI is a work of art!” Combined with the Flysystem-integrated file system, it really helps them with their CI and CD processes. One of the main problems with other CMSs is their inability to seamlessly create a back-end UI. MODX, which uses an outdated version of ExtJS for these purposes, makes the task much more difficult. With October, creating back-end UI components is a breeze. Another major boundary for the team was the fact that MODX stores most of the business logic, settings and templates within the database. This is a serious boundary for cooperative development. It is not an issue, however, with October CMS. October’s lightweight architecture is yet another major advantage. Out-of-the-box it’s not over bloated with logic, like say WordPress. In situations when there is a very high load, even on content-based websites with basic functionality, WordPress starts showing serious delays in response while October CMS continues functioning at a stable, high speed. LOVATA’s clients are very happy with the performance they provide for their projects thanks to October CMS. Joomla’s back-end interface is just way over-bloated and bulky, unlike October’s seamless back-end UI, where everything is logically nested and presented in a way that provides great UX. These and many other sleek features and advantages over other content management systems is what made the team eagerly switch to October CMS. We now have a chance to easily reuse our solutions. This includes Composer packages for solving various tasks (working with payment gateways, generation of pdfs, doc files using templates, etc.) The overall development process became sturdy and elegant. New-coming developers quickly learn and can start working on projects instantly as October CMS is akin to Laravel and the project structure is similar and easy to understand. Developers without experience in October CMS are not against dealing with a new product because in the process they also gain experience in the popular Laravel framework. This gives them an opportunity to develop more complex pure Laravel projects in the future. October CMS’ architecture and powerful functionality led the team to eventually consider developing their own product based on the CMS. We’ve based our development principles on the same philosophy as October CMS. Our modular Shopaholic​ eCommerce plugin ecosystem provides basic functionality when installing the main plugins. This functionality can then be expanded through smart API, or the large pool of extensions. We wanted to provide the same scalability and flexibility as the CMS that our plugins are based on. LOVATA’s team chose October CMS over other content management systems because it’s a modern, smooth and convenient, powerful platform for building content-driven websites. It may be quite young, and in some ways lags behind other prominent CMS, like say in the size of the developer community, but the team thinks, with its fast-growing maturity, it will soon become a strong competitor for the top platforms on the market. It’s extremely developer-friendly, customizable, with a smart architecture, that is why LOVATA prefers to use it on their projects. Did you recently transition to October CMS? Share your story with us!